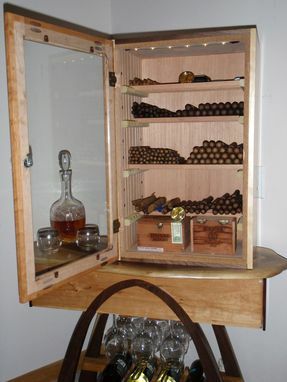 We call this piece "Eclectic Sin !" 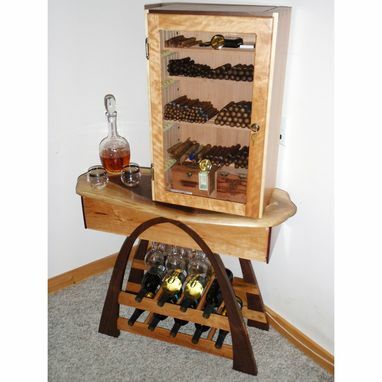 This skillfully crafted "two-piece" combines three design styles into a signature creation where wine, scotch, and cigars are displayed; tempting the beholder to select one of the "sins." 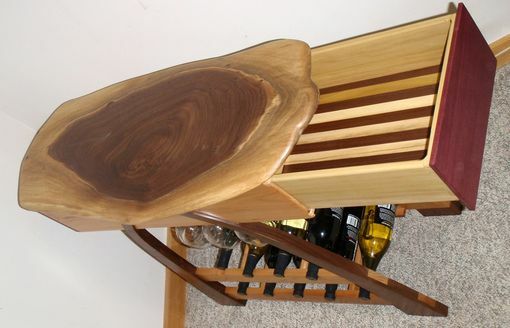 Apple, walnut, Spanish cedar, and purple heart are combined elegantly into this stunning work of art. 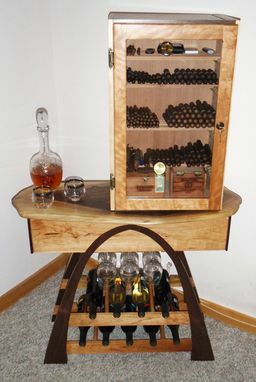 Both the bottom wine rack and the humidor can be scaled to meet a customer's needs along with an endless variety of woods and they can be commissioned separately or as a complimentary pair.